Earlier this fall at OpenWorld, Oracle unveiled a number of new product enhancements in the Spend Management arena. Among these, the press and analysts latched most onto Oracle’s announcement of an entirely new spend classification capability (which you can read about in a recent Spend Matters series: see Part 1, Part 2 and Part 3). But beyond this single piece of new product news are arguably more important foundational enhancements to the core Oracle product suite from a delivery model perspective that will help Oracle to better compete in the market. In fact, perhaps the single most important piece of product news this year in the entire ERP procurement world came out of Oracle. Yet you won’t read much about it in the headlines (nor will you see the impact in competitive functionality for that matter). 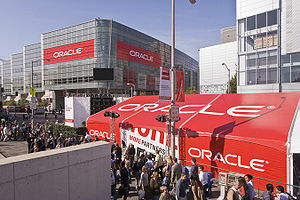 And that’s the fact that at Open World, Oracle continued to hammer home a new On-Demand message that makes its applications significantly more user friendly to both Oracle and non-Oracle customers regardless of their current back-end environment (and without introducing requisite third-parties in the hosting process such as SAP requires). In Oracle’s words, their new On-Demand capabilities represent a “continued refinement of delivery [models] and price points”. But in reality, the importance of this evolution goes farther than this, enabling users to separate out Oracle procurement module decisions from a broader Oracle platform / upgrade one. While I still doubt that Oracle will ever have much luck selling to non-Oracle shops given how they’ve gone to market in the past, I would agree in part with AMR Research’s suggestion that “Oracle supply management applications are now competitive enough to be short-listed in non-Oracle IT environments”. Now, I’m not sure if I’d extend this accolade across the board, but it certainly holds true for at least certain areas of Oracle’s Spend Management solutions thanks in part to a fundamental evolution of their strategy. The full range of Oracle’s procurement products are now available in an On-Demand delivery format including supplier management, spend analysis, strategic sourcing, contract management, requisitioning and procurement (both buy and settlement). In Oracle’s words, what they’ve essentially done is “to allow customers to deploy strategic procurement on the cloud with payment options that can still leverage behind-the-firewall ERP”. To support this vision, Oracle continues to plan to deliver hosting capabilities both internally and through partners (their internal delivery capability is limited to a single tenant format which is not true SaaS as others define it). The key difference between Oracle and SAP, however, is not in their respective tenancy structures, but rather the fact that to take full advantage of Oracle’s hosted capabilities, you do not need to be on any specific back-end instance of Oracle (or any other back-end for that matter). For example, you could have a PeopleSoft back-end and still use a hosted version of Oracle iProcurement if you preferred its capabilities (or simply wanted to avoid a traditional installed software deployment). Perhaps in a competitive response to SAP and others, Oracle is framing its cloud strategy by suggesting that “companies deserve more from On Demand”. What is “more” you ask? Oracle believes that “more” requires “controlling Spend Management outcomes, [better] aligning strategy and execution, enterprise class analytics, improved collaboration, fast customization and deployment, ease of use and predictable cost”. And Oracle is putting its On-Demand enablement money where their mouth is by delivering enabling technical services designed specifically around a hosted deployment model. These include a specific “hosting and functional service desk” and “hosting implementation” for On-Demand as well as a “rapid implementation” capability to help companies get up and running more quickly. However, process and content expertise appear to largely remain the responsibility of either the buying organization or other Oracle partners (in contrast to how Hubwoo is supporting SAP or how organizations like Ariba, Basware, Perfect, Ketera and others bundle these types of enabling P2P capabilities into the delivery equation). In Oracle’s defense, however, their supplier network is also a component of their On-Demand delivery equation. But don’t expect a network capability for supplier enablement, content management and document exchange in the exact same manner as Oracle’s best of breed competitors define it. Stay tuned for Part 2 of this series where we’ll examine other areas of this new On-Demand approach including how Oracle envisions customers will leverage both cloud-based and installed solutions to support different capabilities and internal functional / technical requirements.